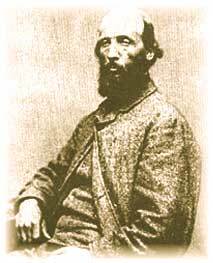 Charles Fenerty was born in 1821, just north of Halifax, in Sackville, Nova Scotia, Canada. The Fenerty's were farmers and lumbermen. During that period, rag paper was not sufficient enough to keep up with paper demands and a new substitute for making paper had to be found (since rags were in short supply). Many were trying different things to produce a new type of paper. 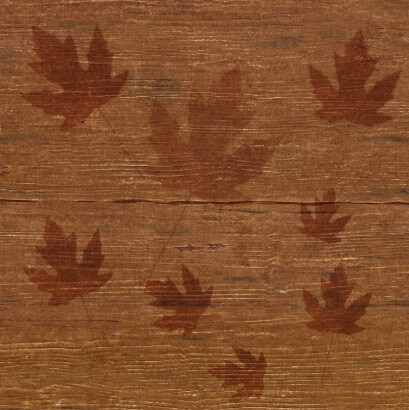 But around 1839 Charles Fenerty started experimenting with wood as a substitute. 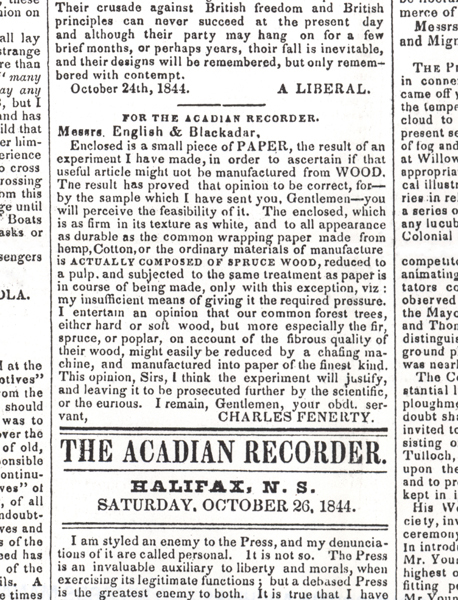 And in 1844 he sent a letter to the Acadian Recorder newspaper (click here for his letter), with a sample of his pulped wood paper, announcing his discovery of the world's first piece of paper made from pulped wood and the invention of a "wood grinding machine" that produces the pulp for papermaking. His method is still used today. By advancing paper into an unlimited supply, Fenerty became one of the great revolutionists in communications during the Industrial Revolution. And as an analogy, his paper invention did for the world what the Internet has done for us today; making the transfer of information more abundant.